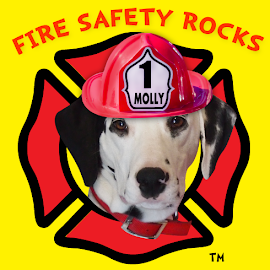 Fire Safety Rocks: One of the Most Amazing Days EVER! It's a wonderful day for fire safety! Do you ever have one of those days when you wake up and have to pinch yourself because you find out of something amazing that happened? This is one of those days! 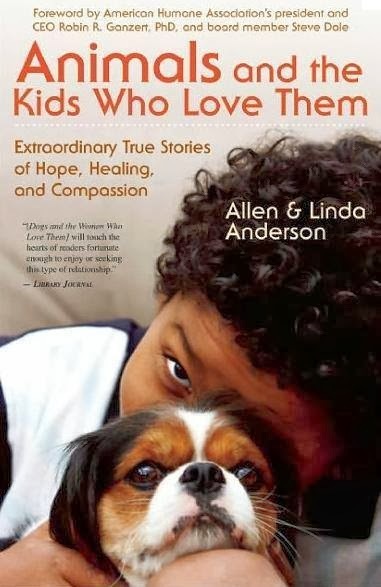 The Fire Safety Dogs are grateful to Allen and Linda Anderson for helping carry on Sparkles the Fire Safety Dog's legacy through their book, Animals and the Kids Who Love Them, now available in hard book in Japanese! 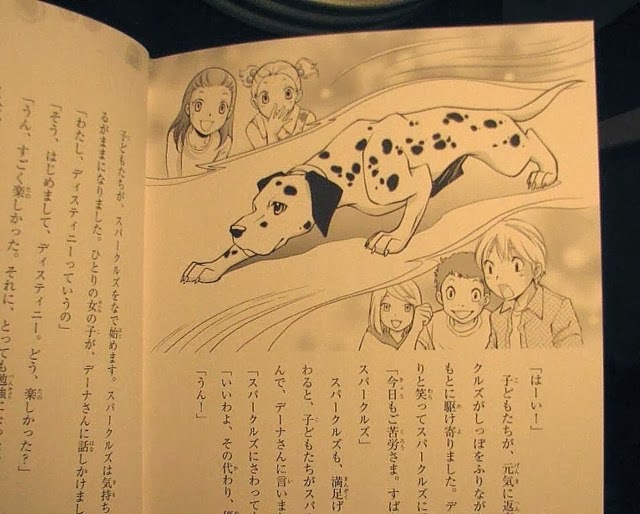 Aren't the illustrations amazing? 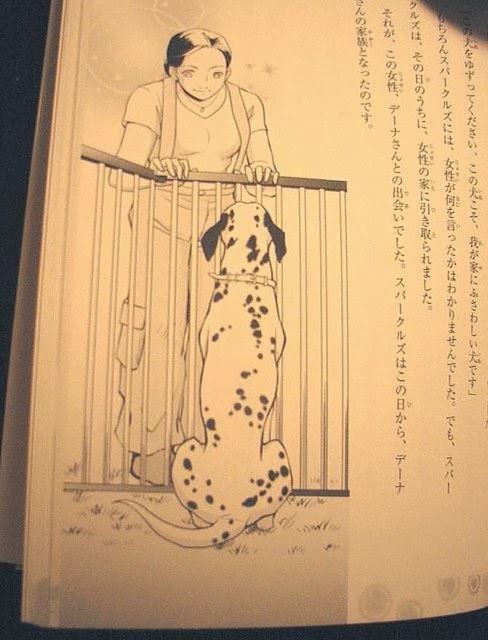 They were Drawn by Akira Himekawa. 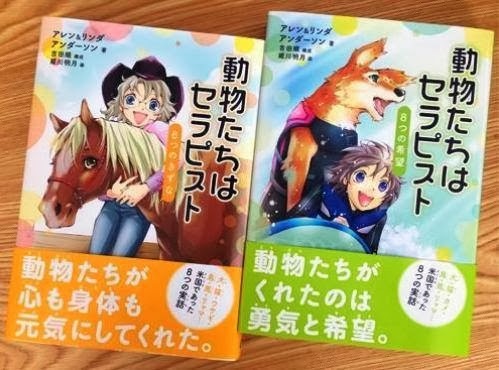 "Animals and the Kids Who Love Them: Extraordinary True Stories of Hope, Healing, and Compassion" Japanese version were published from Gakken Education Publishing / Gakken Marketing on July 16. 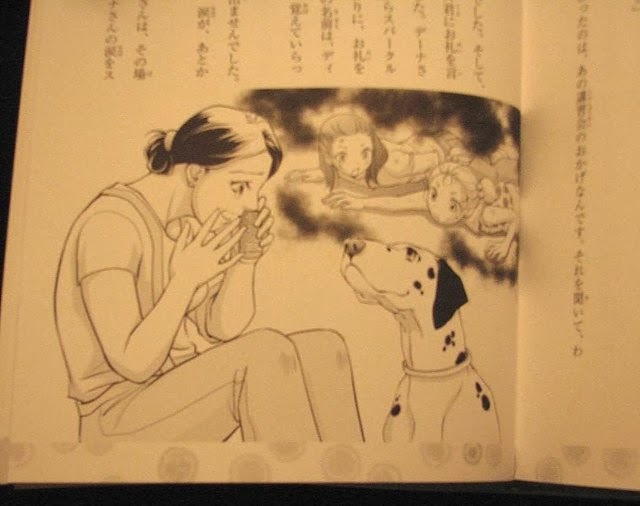 I love this illustration by Akira Himekawa / 姫川 明月﻿. 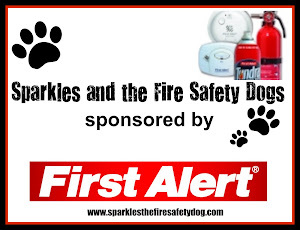 You can just see the love in Sparkles the Fire Safety Dog﻿'s eyes. 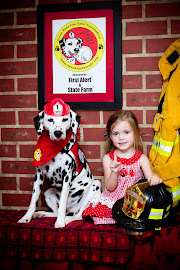 Firefighter Dayna shared with me that this is exactly how Sparkles looked at her, with so much love in her eyes. 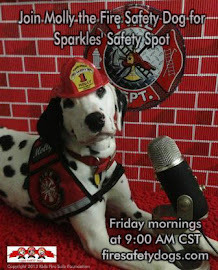 Sparkles the Fire Safety Dog﻿ was known for her "Crawling Low" trick. This trick went on to help save the lives of children in actual fire related situations who had watched Sparkles in a fire safety presentation. 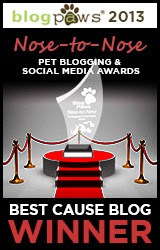 The books features several inspirational stories, including Sparkles the Fire Safety Dog﻿'s story of how she helped save the lives of 7 children and 2 adults involved in actual fire related situations. Have a wonderful day and remember, dreams really do come true! Stay safe and remember: Fire Safety Rocks, no matter what language it is in!